What could be better than a Cayman GT4 on track? 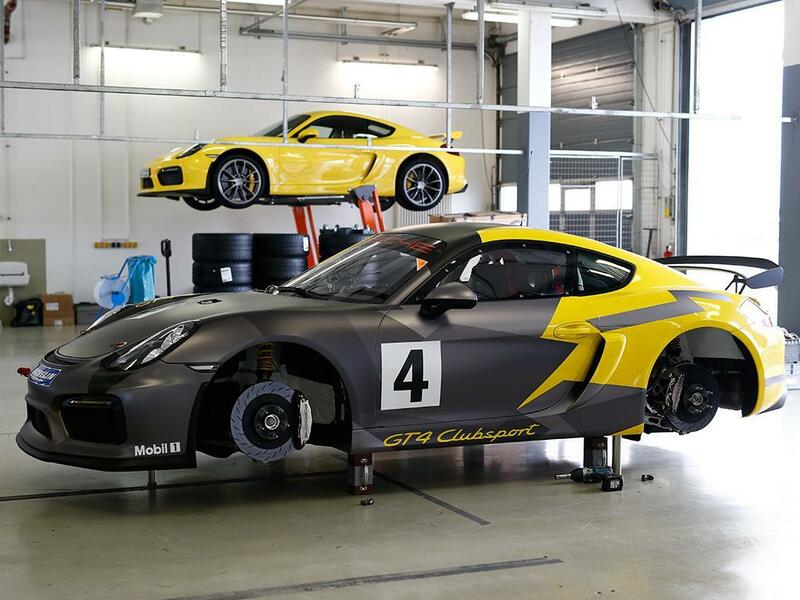 A stripped and caged Cayman GT4 on slicks with ... hang on ... PDK? 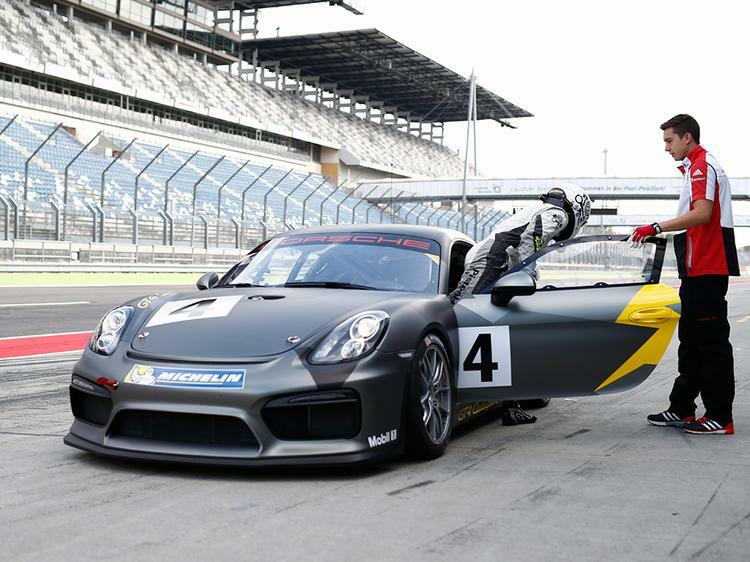 Perhaps the biggest surprise in our taster drive of the Porsche Cayman GT4 Clubsport comes in the Cayman GT4 road car on which it is based. Its sheer ferocity, poise and surprising rawness come as a bit of a shock. Or maybe it's just the Porsche o'clock start from our overnight in Dresden and quick-step from first coffee of the day to Lausitzring pitlane. 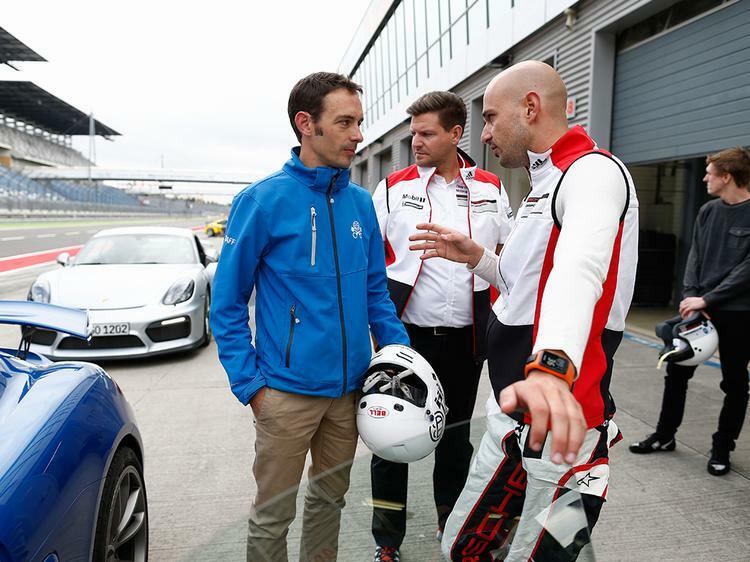 And then wheel tracks of Porsche factory driver Michael Christensen for a no prisoners ducks and drakes familiarisation session. I'm reckoning he's at least another coffee ahead of me as I fumble around trying to keep up. Well, that and a works contract. 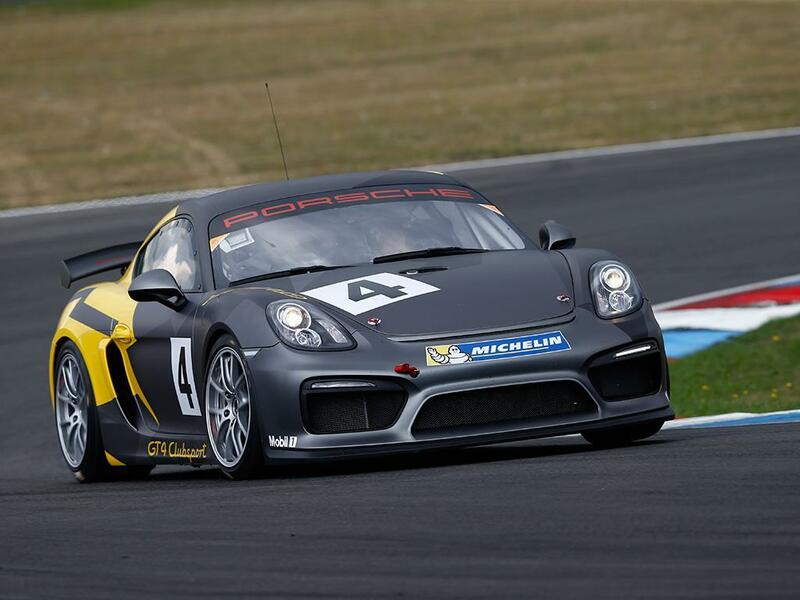 Reverse engineering a racing car out of the GT4 perhaps seems a slightly arse about face way of giving it some genuine motorsports credibility. 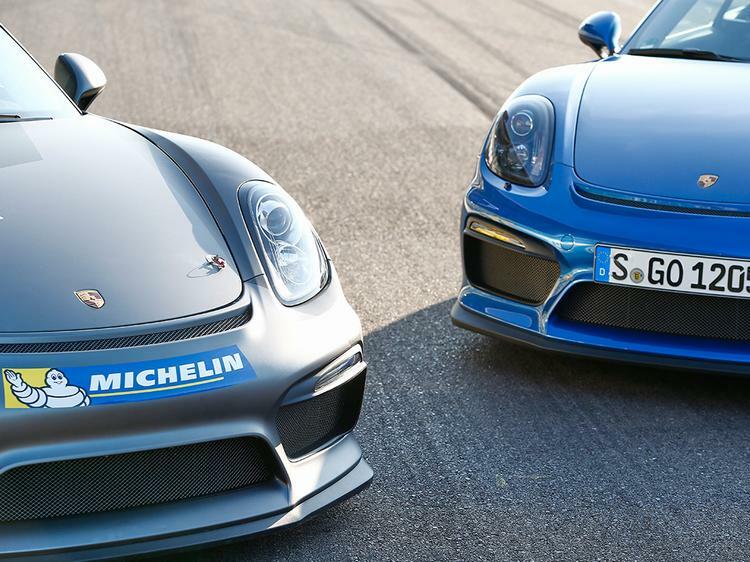 And arguably redundant, given Porsche didn't exactly struggle with sales. 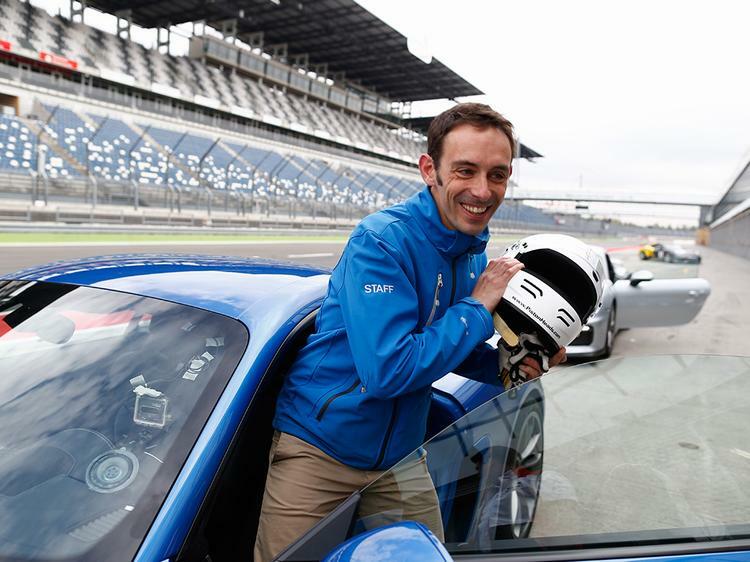 But racing a 911 at any level is a grown-up business, both in cost and demands it makes of drivers less capable than Christensen and his colleagues. 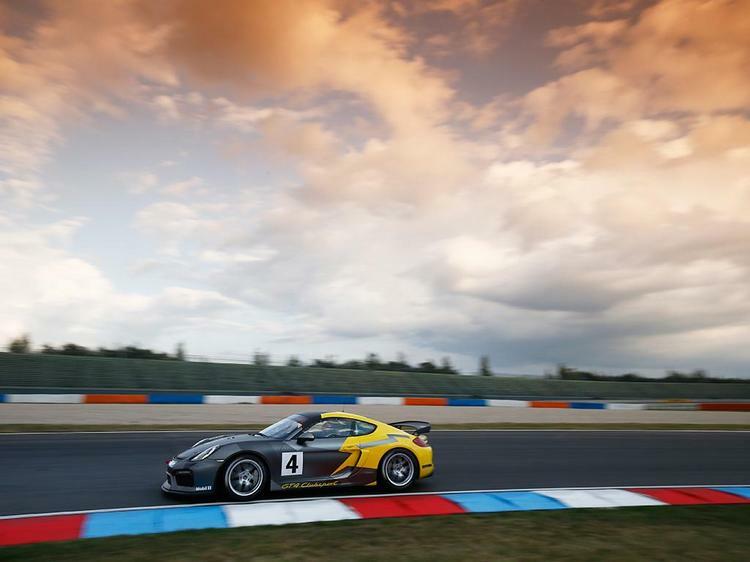 £124K plus VAT and a compulsory £5K spares package will get you a 911 GT3 Cup car but if you want to race against anything other than Porsches you're quickly upscaling to 429,000 euros for a GT3 R and considerably more for the pukka WEC RSR. If they'll sell you one. Which they probably won't given, as our PR man tactfully puts it, the car has "extremely limited availability outside the Factory-supported teams". 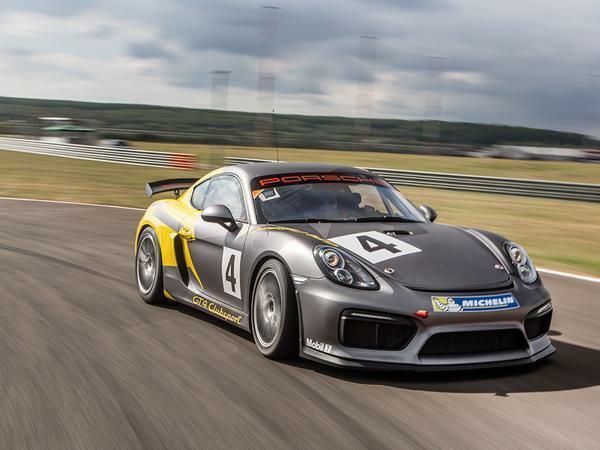 Against that £81K for a 'track day' spec Cayman GT4 Clubsport or £95,300 for a race-ready car with 100-litre fuel tank, air jacks, plumbed in fire extinguisher and readiness for homologation into various 'junior' GT championships looks - relatively - good value. As Dan will tell you! 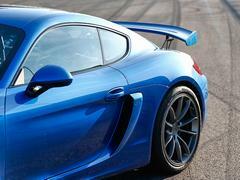 Given the Cayman GT4's underpinnings - 385hp 3.8-litre Carrera S engine, 991 GT3 front axle and the rest - it would seem turning it into a proper racing car isn't perhaps such a huge stretch. 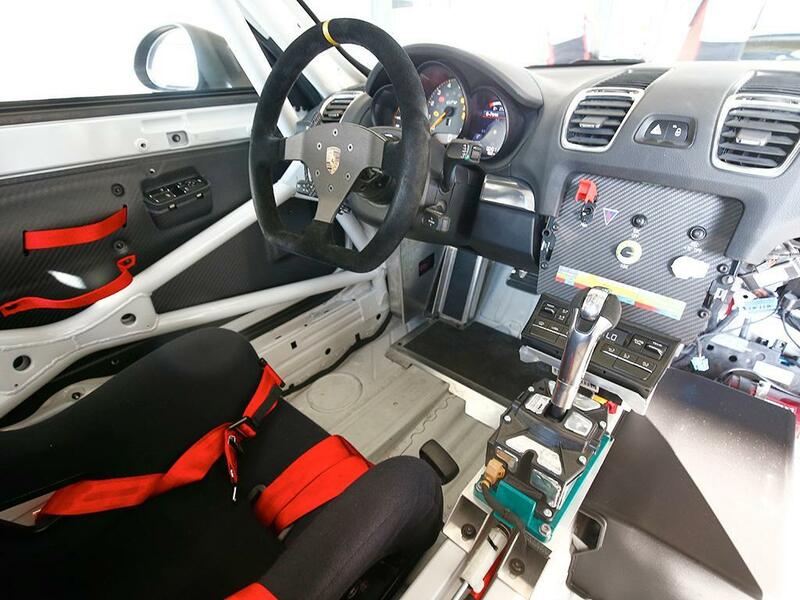 The basic Clubsport loses most of its interior - the road car window switches and air-con controls that remain seemingly suspended in mid-air - but gains 911 GT3 Cup front suspension parts and a fully welded-in cage. And a PDK gearbox. Yes, the manual transmission that defines the purist appeal of the road car has no place in a modern competition machine. So out it goes. PDK makes perfect sense too. Its seamless changes keep the car stable even for mid-corner shifts and protect the transmission and engine from the more brutal inputs of a race sequential, likewise preventing lock-ups or over-revving from mistimed shifts. Even with the additional weight of the transmission, the race car weighs 40kg less than the 1,340kg DIN weight of the road car and the cost saving over a sequential makes it a no-brainer. Steel brakes and five-stud hubs are other cost-saving features, the race car running dinky looking 18-inch wheels with a lot more sidewall than you get on the 20-inch shod road car. 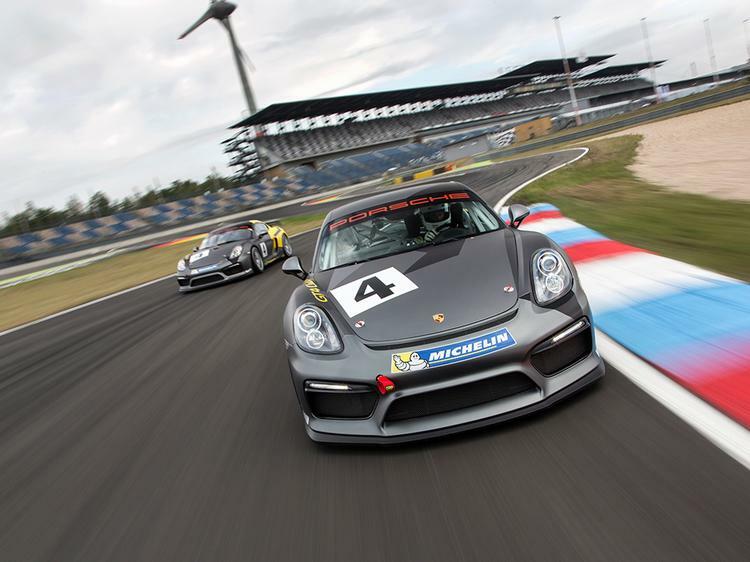 Depending on where you may wish to race your GT4 Clubsport options lead to full 'MR' spec, referencing the input of 'ring racing experts Manthey Racing. The best part of 40kg can be stripped out of the car this way, options including polycarbonate windows/screen, carbon doors and panels, a lithium ion battery and more. 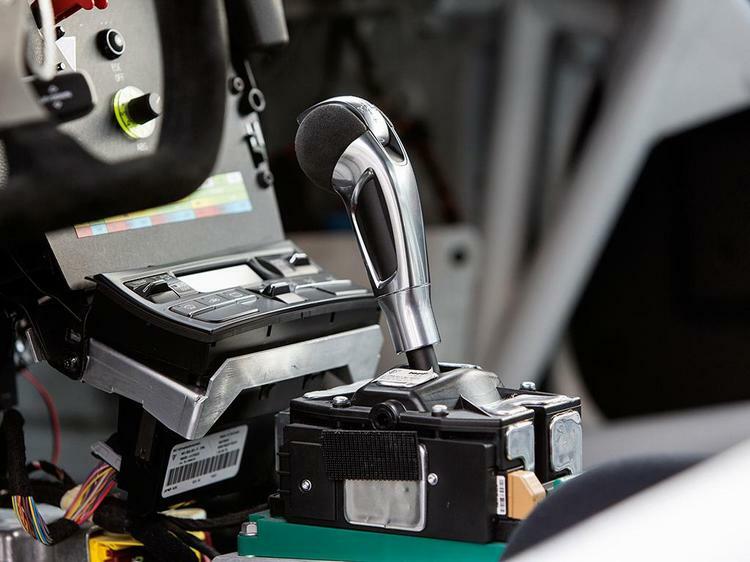 Depending on homologation requirements you can also add fast fuel fillers, a CAN data logger, window nets, night racing lights, cockpit brake balance adjuster and more besides. 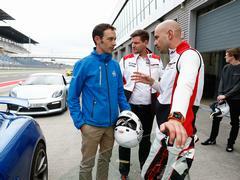 Price will depend on the final spec but expect to pay at least 30,000 euros extra to add MR to your Clubsport badge. 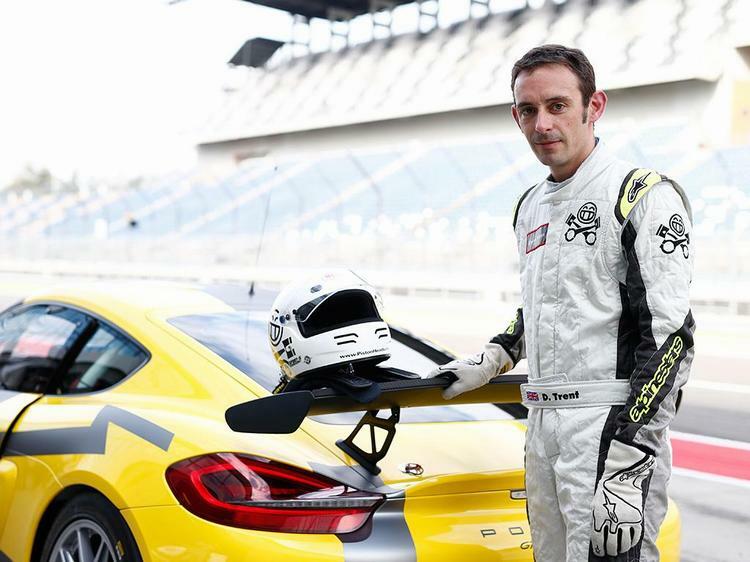 Via a tight combination of the Lausitzring bowl and infield three steps to GT4 heaven in other words; GT4 road car, GT4 Clubsport race car and GT4 Clubsport MR. Time to suit up. 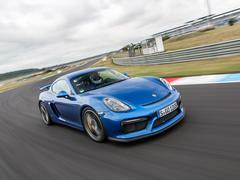 For a street car the 'civilian' GT4 is impressively raw and track capable. And loud. Really loud. Even in the default setting the PASM damping has a prickly sense of purpose - I try Sport and then revert back - while the combination of short-throw manual six-speed and that glorious Carrera S motor is addictively raucous. And rather drowns out my previous attempts to defend the effective, if flatulent, flat-four turbo engine in the latest 718 Cayman and Boxster. With the anti-roll bars in the default mid/mid setting it does understeer, requiring patience and trailed brakes to keep the nose pinned on slower corners. 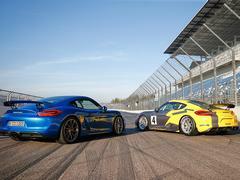 Experience from the launch of driving a car set stiffer at the rear proves this is easily dialled out though and, as a track day machine you can drive on the street, the GT4 is a compelling package. Dropping off the air jacks and onto pre-warmed slicks in the Clubsport things have taken a turn for the serious. My head is HANS'd into place and the engine barks fiercely in the stripped interior. In place of navigation and radio I have a carbon plate with a 12-stage ABS dial and at-a-glance sticker advising which mode suits which tyres and conditions. We're on the third click for warm slicks and dry track. There's ESC off and ESC + TC off as per the road car; I leave both alone for now. Up the pitlane the PDK snaps through the shifts with the speed and positivity of a sequential but not the thump in the back. This and the linearity of the power delivery make the acceleration seem less dramatic than the street GT4 but this is a car for carrying speed as much as building it. The set-up on this car is stiff, the Clubsport jiggling over bumps and mobile over the transitions between banking and infield. 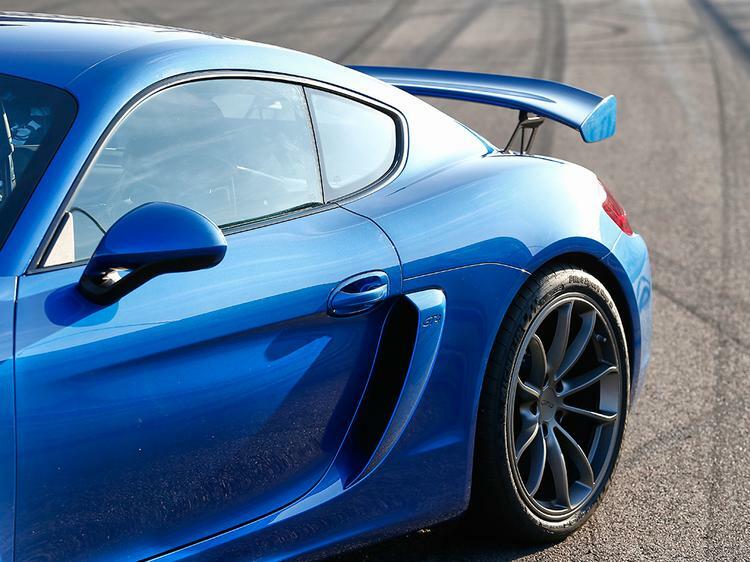 Three laps isn't enough to get a feel for how hard you can lean on the slicks but it's clear the car benefits from the Cayman's inherent balance and is very easy to drive straight out of the box. Superficially the changes aren't that noticeable, beyond a few more switches and a slightly wobbly view of the world through the polycarbonate screen. 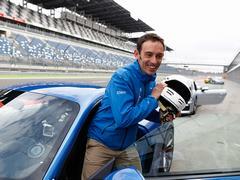 Then I go for the brake pedal for turn one. Oooh, that needs a bit more of a shove. Turns out the fuel cell means no space for a servo, the increased physicality of the braking process just a subtle sign of the MR's intent. 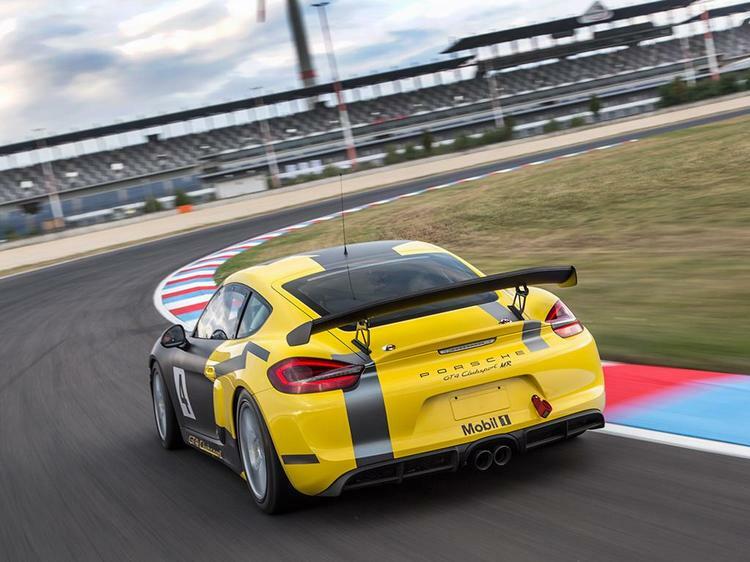 The fancier KW dampers are set to Manthey's Nurburgring configuration and, as a result, the MR feels much more supple than the standard Clubsport and happy to take huge bites out of the kerbs without the slightest deflection. This softness makes the front end a little more difficult to read and there doesn't seem to be a huge amount of bite but, again, we've only got three laps. Meaningful performance gains are therefore hard to judge. But it's clear this MR has been set up to be a comfortable place in which to rack up long stints in endurance races and it's both fast and forgiving in equal measure. 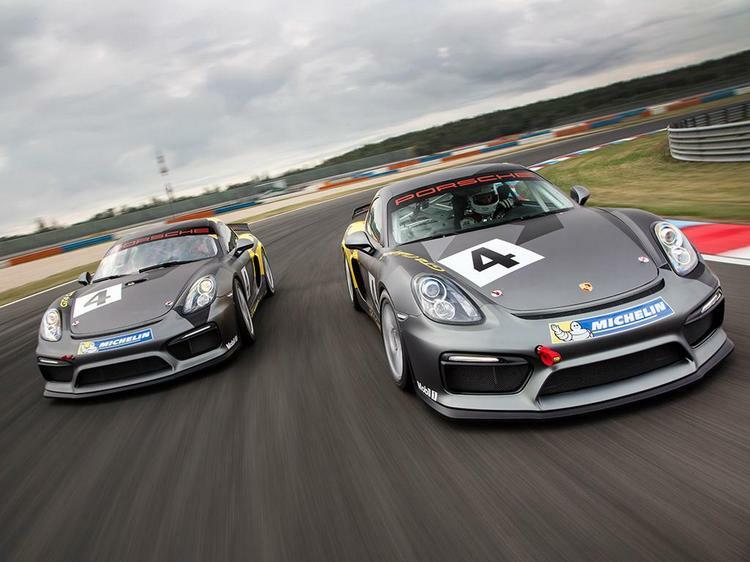 It's fun and exciting at the 'track day and a bit' pace I feel confident to nibble at in our brief taste but it's clear there's class and composure there to reward all abilities, the natural balance of the Cayman package clearly a very sound basis on which to build a confidence-inspiring race car for any racer. One that looks superb, has the cachet of being a factory Porsche racing car and makes a fantastic noise into the bargain. This on a grid with BMW M4 GT4s, Lotus Exige Cups and similar is something we'd like to get involved in. Nice extensive review! Ive heard that some teams that run them in gt4 are really disappointed about the straight line speed and general support from Porsche. To bad, seems like a great platform for gt4 racing..
How about a (6 speed?) sequential option? Differences in the PDK are - the racing version uses six forward gears, vs the street counterpart being a 7-speed - however both retain the same gear ratios (minus the large overdrive for the street model). 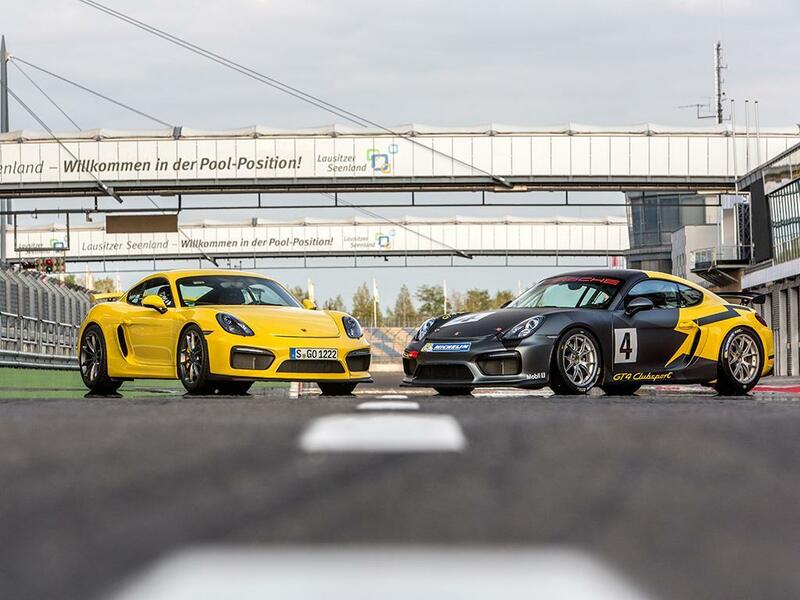 The street PDK in the Cayman, Cayman S and Cayman GTS utilizes the optional PTV Plus (Porsche Torque Vectoring) - an electronic limited slip unit, while the Cayman GT4 Clubsport utilizes a rear axle, rear-differential lock designed by Porsche Motorsport and is 45% / 45% for traction/overun. 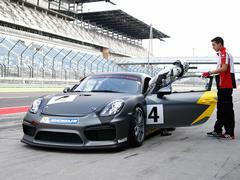 One other difference - the racecar PDK is rigidly mounted to the chassis. From what I understand, sequential gearboxes basically chew themselves up every time you make a shift so have a limited life...therefore PDK makes more sense on all fronts. You can develop some pretty aggressive shift strategies for PDK as well, but as above the reliability compared to flat-shift sequentials is much higher. It'll help keep the racing cost down massively compared to a full strip and rebuild every couple of thousand km.